Some of YouTube’s most popular stars have criticised the website for “experimenting” with how their videos are delivered to their fans. Unannounced, YouTube started testing an algorithm that changed the order videos appeared in users’ subscription feeds. The experiment came to light when some users complained on social media. One YouTube star said it was the worst decision the website had made for years. But YouTube defended its experiment. Originally, the YouTube subscription feed was a chronological list of videos from all the channels that a person had chosen to “subscribe” to. The system let people curate a personalised feed full of content from their favourite video-makers. 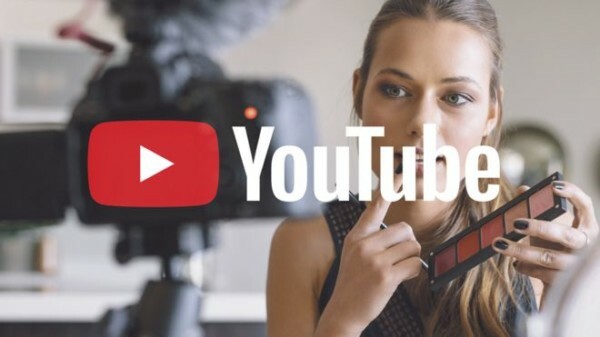 However, many video-makers have previously complained that some of their videos have not appeared in the subscription feed, and have questioned whether YouTube manipulates the list to boost viewer retention and advertising revenue. YouTube’s latest experiment – which it said appeared for a “small number” of users – changed the order of videos in the feed. Instead of showing the most recent videos at the top, YouTube said the manipulated feed showed people “the videos they want to watch”. Why are YouTube stars annoyed? “When I click subscribe on a Youtube channel, that’s me saying: ‘More of this, please,'” explained video-maker Gary C.
Lifestyle vlogger Alfie Deyes, who has more than five million subscribers on the platform, said it was “the worst decision YouTube has made in the past nine years I’ve been making videos”. YouTube said the experiment only appeared for a “small number” of people. It stressed the “personalised” feed was optional and that it was not planning to remove the chronological feed. However, YouTube told the BBC that people with the “personalised” feed were watching videos for longer. YouTube has shifted its focus away from the number of “views” that a video attracts to overall “watch time”. Video-makers are now encouraged to produce longer videos that keep viewers on the platform for longer. The change explains why previously short videos, such as DIY demonstrations or “how-to” tutorials, are now often dragged out over 10 minutes or more. “We’re testing a setting that allows users to sort the subscriptions feed based on the content a user usually engages with the most,” the company said in a statement. One video editor suggested YouTube needed to improve its communication about algorithm experiments.